I love old quilts, but in antique stores they can be really pricey. 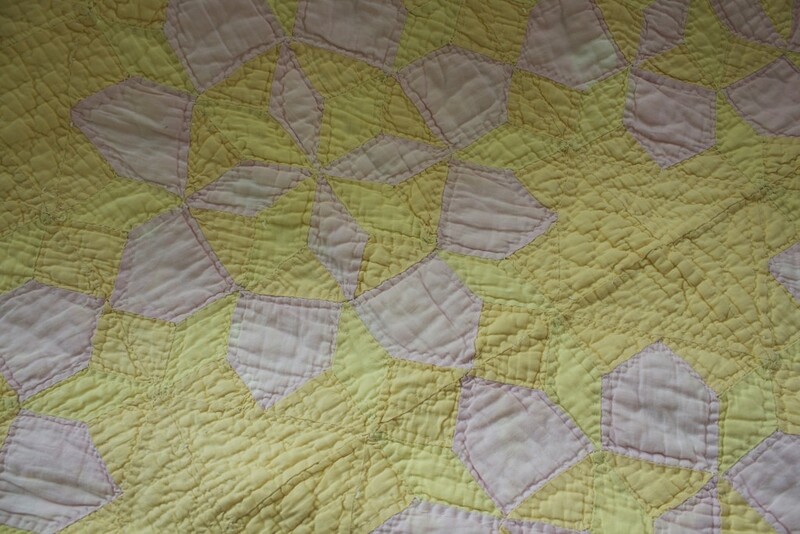 I recently discovered that eBay is a great source for quilts of all descriptions; I bought this one (for $40) thinking it was my favorite color combo of pink and mustard. Alas, when I opened the package I was disappointed. Instead of a cheerful blush, the pink was more of a faded puce. There were different shades of yellow, none of which could be called “mustard.” The color range might be more accurately described as a study of the concentration of urine at varying levels of dehydration. 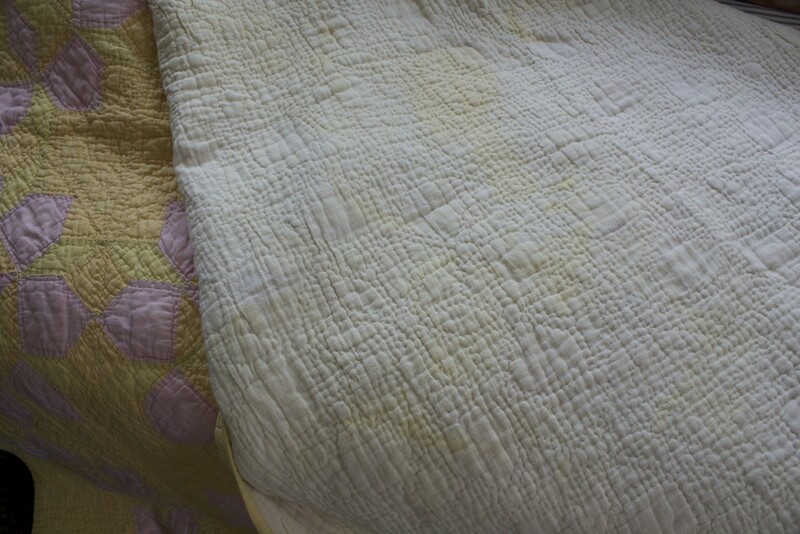 To make things worse, the yellow dye had also seeped through to the back of the quilt, giving it a particularly yucky look. 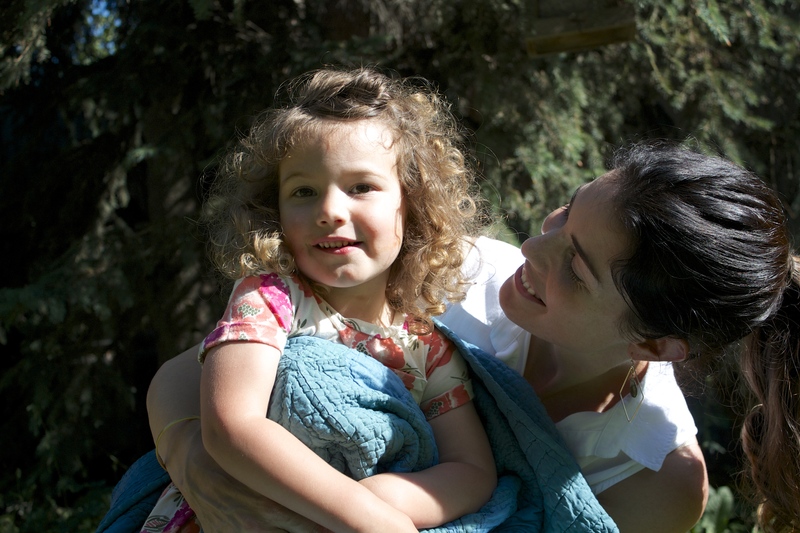 The quilt itself is in great shape, and all the hand-stitching makes it soft and lofty. 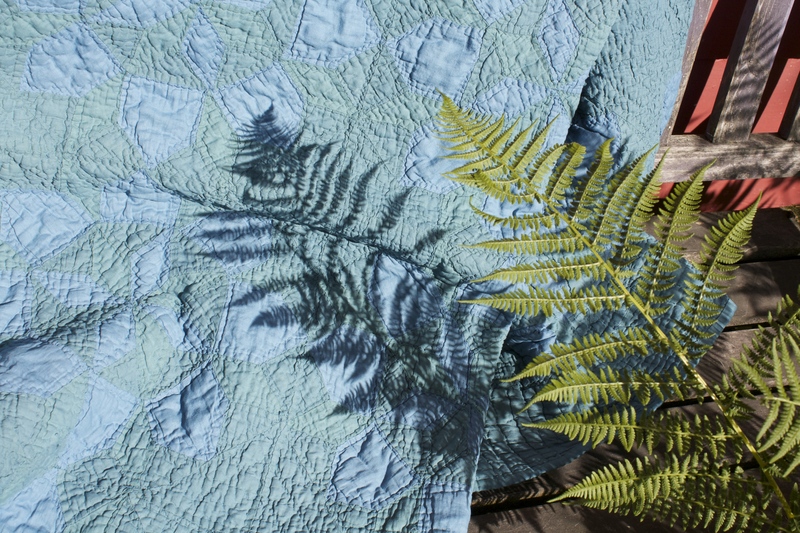 A few weeks ago our favorite blogger Jenny Komenda posted about an idea for overdyeing quilts. As soon as I saw her post, I knew it was the solution for my unfortunately colored but otherwise lovely quilt. 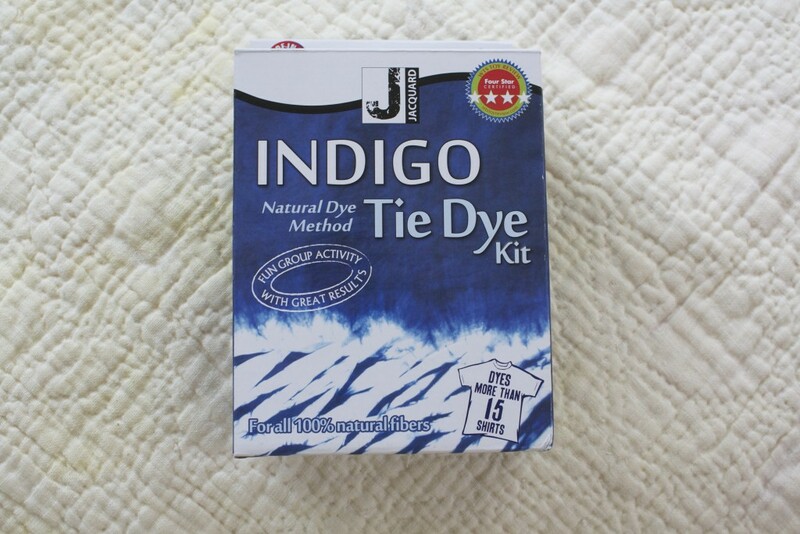 I got a box of Indigo dye at our local art supply store. This is the same stuff I used in my shibori experiments, so I had some idea of how it would work. The first thing I did was put the quilt in the washing machine on the delicate setting without soap. Fabric needs to be wet when it goes into the indigo dye bath, and I also wanted as much of the bleeding yellow color to come out as possible. 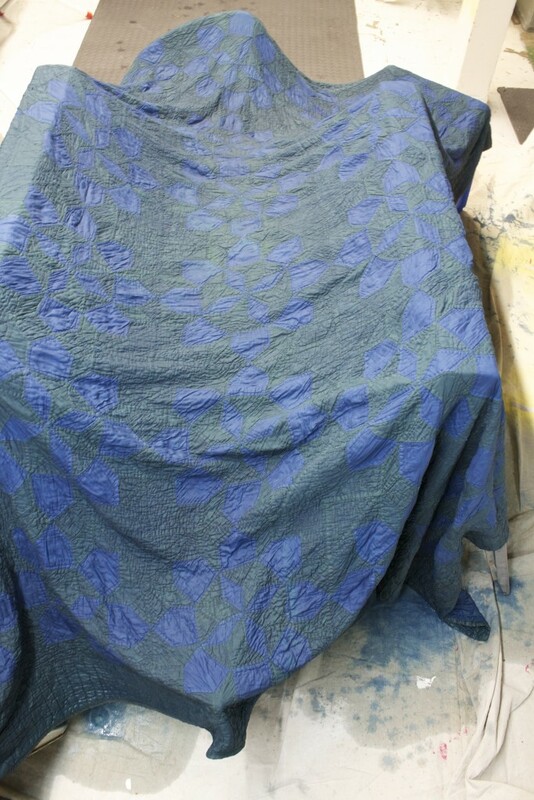 While the quilt was washing I mixed up the indigo dye in a large plastic storage container. The instructions call for using four gallons of water, but I used closer to six because I knew the quilt would soak up a lot of the liquid, and I needed it to be deep enough to fully submerge the quilt. 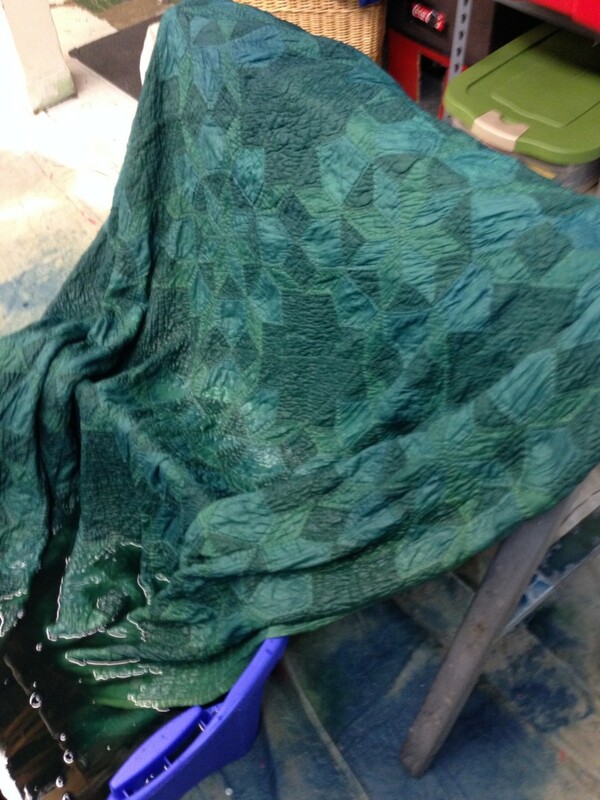 After letting the dye rest for about 20 minutes, I unceremoniously submerged the quilt. 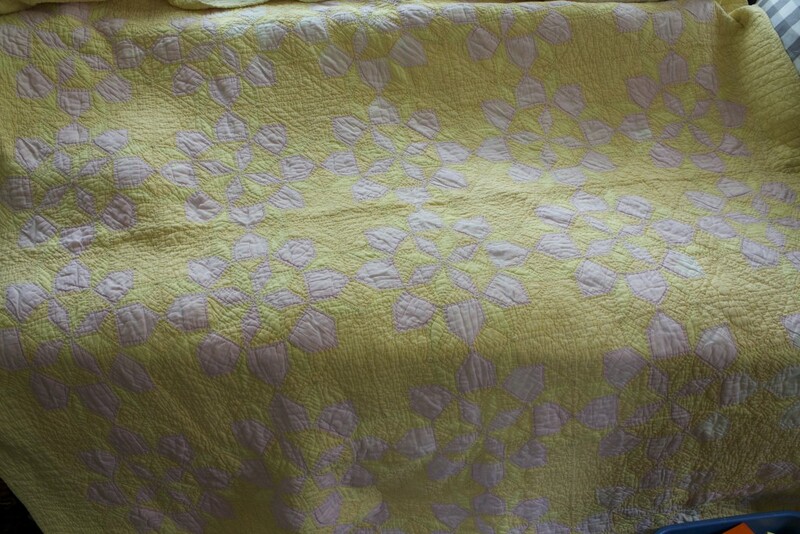 Once in the dye bath, I gently agitated the quilt by hand, and stirred it around with a dowel. After about five minutes, I pulled it out and laid it across two sawhorses to oxidize. When it first came out of the dye it was very green, but it instantly started to turn a deep indigo. I left the quilt to oxidize for about half an hour, and then repeated the dyeing process. After it came out of the dye bath the second time and oxidized for another half hour I put it in the washing machine, again on the delicate setting, but this time with a mild detergent. While it was washing I set about cleaning up: I basically flooded the basement with indigo, which, while beautiful, smells totally putrid. But the mess and horrible smell were worth it because the end result is so pretty! What was once yellow is now a rich peacock teal, and the pink is a deep indigo. The quilt is destined for the daybed in the soon-to-be-revealed playroom/guest room, and I love the way its new oceany colors bring out the blues in the old persian rug. While this probably isn’t the right project for quilts lovingly made by relatives, or passed down in the family through generations, I feel like it was the perfect resurrection for this unfortunately-hued quilt with no sentimental value. 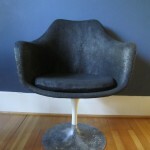 And honestly it is so beautiful now that it might just become a family heirloom! What do you think? 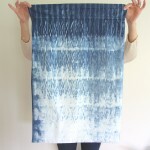 Would you ever consider overdyeing a quilt? Thanks for reading along! 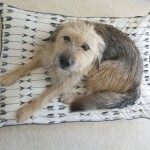 I definitely wanted permission from a real quilter–thanks for giving me the go-ahead! I loved following along. 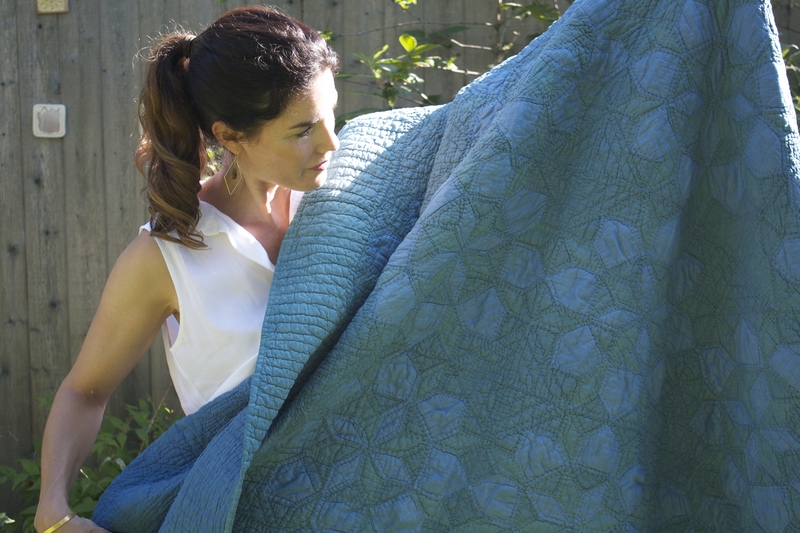 You’re right, the blue of the quilt works magic next to the handsome rug. Be grateful your indigo dye bath didn’t call for the urine of old. I think the over dye works beautifully. The original quilt didn’t wear well across time. Too bad as the stiching looks lovely. And, you saved that! My grandmother quilted and I treasure hers which, unlike the one you bought, are still white and bright in the colored patches almost a hundred years after she folded them into her linen cupboard. The stitching really is lovely, and the new colors are too. I’m glad your grandmother’s quilts are so well preserved! Thank you, Susan! Great transformation Mera—the blue is lovely. 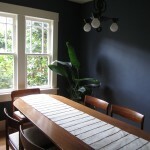 And it was so much fun to see your house on Design*Sponge this morning. Congrats! Thank you, Michelle, it was really exciting to see the house on DS! This came out so beautifully, and you definitely have more guts than me! I’m very hesitant to ever tamper with old pieces, less the results are disastrous. But like you, I’ve come across some affordably priced quilts around eBay, as well as, Etsy, but often they’re not in colors I want (my favorite colors are either an emerald or pine green with maroon or kind of a wine red, which are not very popular for bedding and linens, but appear in almost everything else in my bedroom). I’ll have to keep overdying in mind if I come across one whose pattern or stitching I otherwise love. Thanks for the great idea! You could try Rit dye in one of our favorite colors! And I think a quilt with patterned fabrics could be really special–a small floral or check showing through the dye could be really pretty! Let us know if you try it! Go for it, Diana! It’s a great way to get unused quilts that don’t quite fit with your decor out of the closet and back on display and in use. Thanks! I love the softness and puckeriness of old quilts. And I really really like how the one you dyed looks with the rug. 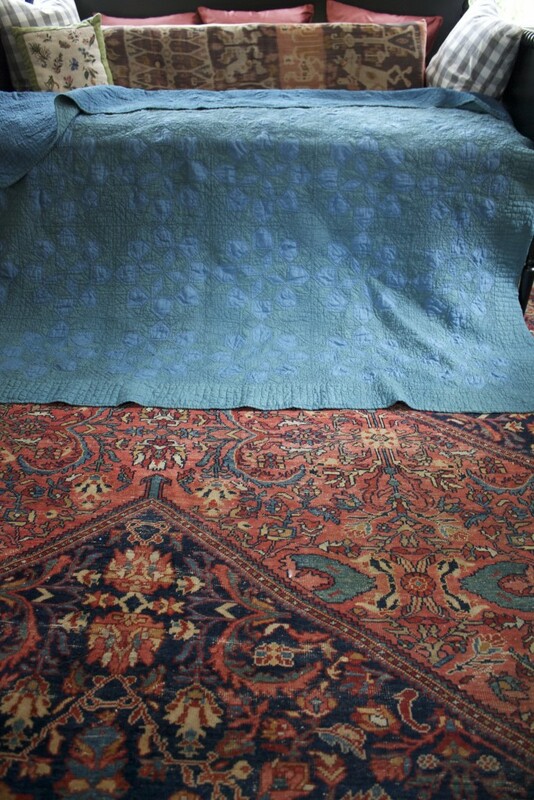 When my parents built our house in 1960, my mother put a huge rug something like yours in the living room and bought two small blue couches that sat happily on it for many years. 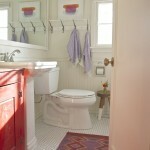 Your photo of the rug with the quilt reminded me of that room I so loved when I was young. Absolutely! Be fearless… love your results!! Fantastic! Now to find an old quilt…! Aaaand I will be sticking around for the long haul (came over from Design Sponge). brilliant! 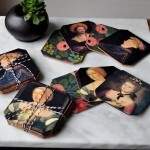 Definitely on the look-out for an old quilt! You nailed it! I really, really love it and it is now something to treasure! Love this! I have a quilt top with colors I’m not in love with anymore and a friend suggested indigo. Thanks for the post! Question – when you said flooded did you mean you put the rest of the dye on your basement floor? Hi Charlotte! You should definitely go for it! I still love to look at the subtly different blue tones created by the underlying fabric colors and textures, and it’s holding up well. What I meant when I said that I flooded our basement is that the quilt held a lot of the indigo liquid, so when it was drip drying (draped across a bunch of boxes and metal chairs) it created a foul smelling pond on the floor. 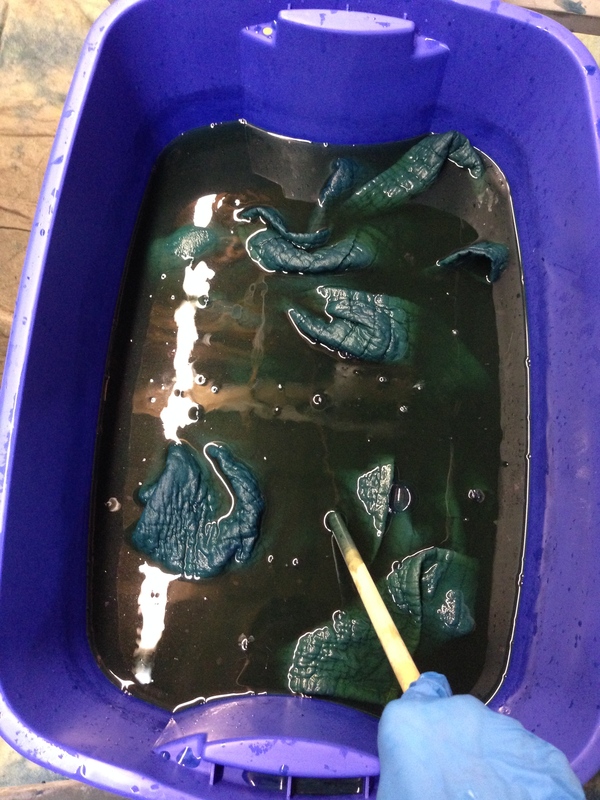 I eventually dumped the indigo dye that was left in the dyeing vat down our utility sink. Good luck, and let us know how it turns out!